Video to online awareness for websites or social media is like heat to a popcorn seed sitting in oil. It creates an explosion in your online exposure. But maybe not so easy for a law firm to do! Firstly, videos get priority in Google search results, this allows you to bump your law firm up a good couple of notches in the results order and this in turn improves the number of people coming through to your website. 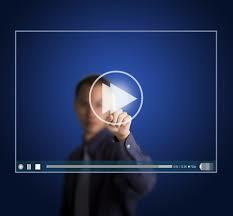 Instinctively, people prefer to watch a video than read a blog post. As they say, “a picture paints a thousand words”, and a video appeals to an additional sense, hearing, which draws people into watching. So you will get more people watching your video than you would have had with them reading a blog post. It is easier for your target audience to watch a video than to read a blog post – so they will be inclined to watch your video but maybe not read your blog post. People are lazy, make it easier for them to get your message. A video generally exposes the law firm personality. A video of the managing partner welcoming a client in reception gives the viewer a personal connection with the firm and partner, even though they have not met in person. Similar to seeing a well-known person in a shopping mall, you feel a connection even though you have never met them – but seeing them on TV often has made the social connection for you. Viewing video on a smartphone is quick and easy and I don’t need to tell you how important mobile marketing is these days. The above points convey the obvious benefits of producing video for your online marketing campaigns, the stumbling block is that we are shy – we don’t want to put our face out there in case somebody dislikes what we are saying or we look funny. Have a walk-through video escorted by the managing partner of your law firm. While each partner introduces themselves with a quick introduction – outlining their main focus at the firm. Video record people from the firm who speak at public events. Social responsibility drives – the staff helping out in charity drives, collections or feeding kitchens as examples. Supporting a charity, maybe without even doing a video, you could include a video from the charity on your website with their permission. An overview of new legislation changes that will appeal to your clients. How-to videos – labour processes, policies etc. Checklist, similar to the “How-to” but allows you to ask them for their email address to send them a check list document free of charge. With the firm logo and contact details of course. News-worthy clip, as long as yours is one of the very first videos to be uploaded – no point uploading a video when it is stale. To do a video of the law firm walk-through or interviews with your partners, get it done professionally, but for things like news videos, social responsibility, events etc – a good video from your phone or tablet will be fine. My personal experience says that in good light a smartphone is good enough, in poor light an iPad will be ok and for interviews you need a better quality video camera or have a professional behind the lens. If you find the quality is too bad, don’t upload it. Poor quality videos will send a message that you don’t worry about the quality of work you put out to the public. The last thing to mention is to post this video to YouTube and then link to it from your website or social media, YouTube is owned by Google and obviously gets priority. I would have included a video of this topic….but I am too shy! Glad the information is useful. We do what we can to help, the feedback is always welcome, thanks.